Jugaad is something I could claim mastery on till the time I read this book. 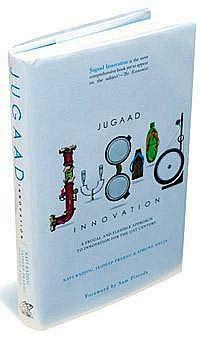 This book is a collection of all those wonderful Jugaad innovations that are beyond imagination yet have been created by people like us showcasing their sheer brilliance. The Jugaad technology as referred to by the authors in the book has the much needed WOW factor as you turn page after page. Navi Radjou- Navi Radjou is an independent thought leader and strategy consultant based in Silicon Valley. He is an internationally recognized voice of business innovation and leadership. Navi is also a fellow at Judge Business School, University of Cambridge, and a faculty member of the World Economic Forum. Jaideep Prabhu - Dr. Jaideep Prabhu is Jawaharlal Nehru Professor of Indian Business and Enterprise and director of the Centre for India & Global Business at Judge Business School, University of Cambridge. He has held positions at Imperial College London, Tilburg University (the Netherlands), and UCLA. Jaideep has a bachelor of technology degree from IIT Delhi and a Ph.D. from the University of Southern California. Simone Ahuja-Dr. Simone Ahuja is the founder of Blood Orange, a marketing and strategy consultancy with special expertise in emerging markets and innovation, and content production capabilities. Headquartered in Minneapolis, with teams in Mumbai, Blood Orange uses an agile, cost efficient content production process built on principles learned through extensive work in India, including jugaad. Ok Let me be honest, I hate nonfiction and I don’t know what made me select this book. Could be partially because of the praises that have been showered on it and partially because of the title- Now Jugaad is something we all know, yet want to know more and more about. So here I am, having finished reading the book all I can say a perfect masterpiece for all the wannabe-entrepreneurs! As the tag line of the book says this book is a frugal and flexible approach to innovation. With a foreword by Ratan Tata and an introduction by Sam Pitroda this book does have a promising start. As you read through its chapters you will realize that they authors have done their homework very well in terms of the examples and explanations provided to the reader. There is so much of detailing behind every concept they talk about in very simple and lucid language and the whole presentation is so nicely organized that it makes a nice, engrossing read. Each every concept is backed by very strong real life examples which ensures the readers connect to the ideas easily. To give you an example, in one chapter simplicity is associated with Facebook. Because as per Facebook, they choose this as they wanted the users to remember the conversations and not the website. Hence however many new options to may add for the user, the core website still remains the same. This was something incredible and it took me by surprise as I never noticed this. But then I guess this is what the Facebook team intended when they designed it like this. This book is full of such inspiring real like stories and concepts adopted by one and all starting from Fortune 500 companies to our local grocery shop owner. If one were to follow these core principles like thumb rule there is no scope of going wrong for anyone here. From the front cover page to the matter, to the presentation and language this book is perfection personified. In a long while have I read a book behind which the homework done by the authors is clearly visible much to the pleasure of the reader. I would recommend this book to college students (as this also outlines what is needed in an employee to ensure optimum output. ), corporate head honchos, entrepreneurs (both who are and who want to be), business leaders and of course to all nonfiction lovers who enjoy reading innovative stuff. 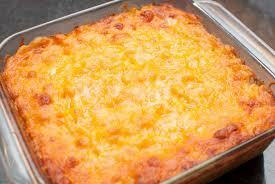 Baked Macaroni - this book is like a dish of baked macaroni, cheesy, baked to perfection, yummy, melting in your mouth and leaving a nice soft cheesy after taste.